Looking for something more technical? Our Gum Tree Pack will keep your kids enticed! Our Wild Plants is a complete curriculum for Junior, Middle and Upper school students, complete with 340 pages of teachers notes, resources and activities for students to completely explore the world of Western Australian plants and plant communities. Produced by Bronwen Keighery, a professional botanist, also a qualified educator. An educator’s perspective on connecting children with the natural world – see page here. The Wildflower Society has an active Education Sub Committee which has a suite of activities and events for young people, guided by professional educators. See their page here. 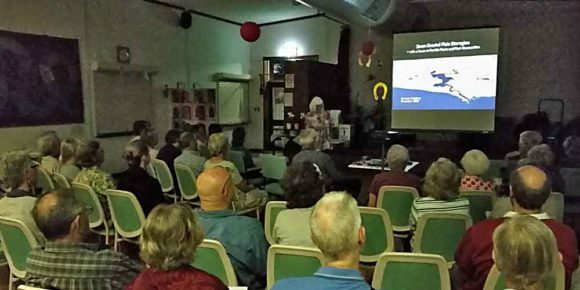 Wildflower Society meetings often feature talks by academics, expert gardeners or outback travelers with information you'd be hard pressed to find elsewhere. Look at our events page for talks coming your way.